With the cost of energy constantly rising, the amount you pay to keep your home comfortable can be pretty expensive. However, if you get an expert from Alamance Oil to conduct a home energy audit in your Burlington house, they will provide you with numerous solutions you can use to lower your home’s energy consumption. This will enable you to save quite a bit of money on your utility bills. Before our professional arrives to start the evaluation, you need to collect your past utility bills and create a list of any areas of concern in your home. Our Alamance Oil technician will take a look at the information you collected and will inform you of the steps you can take that will help you cut the amount of energy your home uses. How many people are there in your household, and how much time do household members spend inside the house (as opposed to at work or school)? How do your thermostat settings differ between the seasons? Are all of the rooms in your home being used, or are some left unused? The professional from Alamance Oil conducting the evaluation will examine your home for any areas in your heating and cooling equipment that could use improvement and possibly any Burlington AC repair that needs to be completed. Expert free energy audits will better your home’s comfort and your bills. Immediately after the evaluation has finished, the technician will sit down with you and describe what he or she found, and answer any questions you may have. Then, you will be given solutions to address the energy loss problems specific to your home, and ways to lower the energy your home consumes. When looking for a professional heating and air conditioning technician to perform energy evaluations, make sure you are picking someone with experience. At Alamance Oil we have been providing quality service in Burlington for many years. 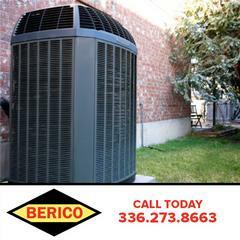 We are happy to assist you in all of your home comfort needs–contact us today for further assistance.